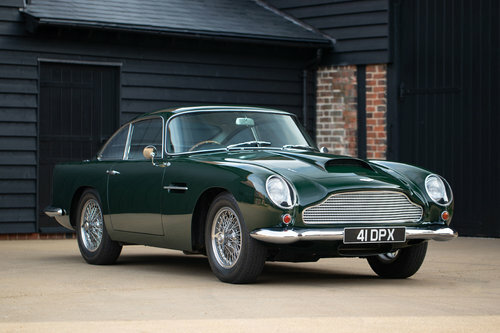 First shown at the 1959 London Motor Show, the DB4GT was described as Britain’s fastest passenger car. A thinly disguised competition car, which could be raced on Sunday and driven to the office on Monday. 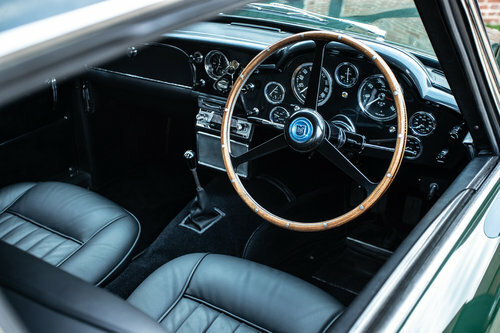 The DB4GT differs significantly from the production DB4, in having a shorter wheelbase and a competition developed engine amongst other improvements. 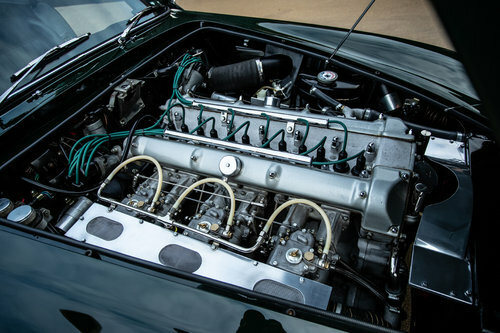 The improved power to weight ratio of the DB4 GT, proved competitive in period when pitched against contemporary Ferrari and Jaguar competition models, campaigned in International Sportscar racing. Driven by luminaries Stirling Moss, Jim Clark, Innes Ireland and many other legendary drivers, the DB4GT set a new bench mark for Aston Martins, competing from the front of the grid. Homologated in period for International Sports Car Racing, a number of DB4GTs are now successfully campaigned in prestigious historic races, including the Classic Le Mans and Goodwood Revival meetings. 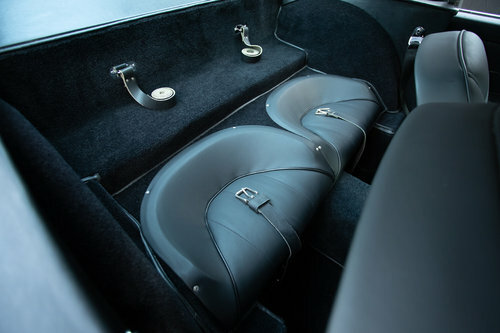 Chassis 0157/R, the car we are proud to offer was built and delivered to its first owner in 1961, unusually fitted with occasional rear seats and finished in Dubonnet Rosso. 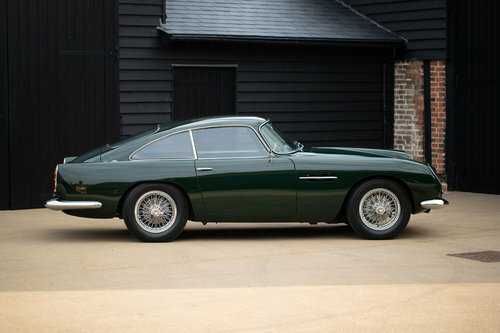 Reportedly owned for a short period in 1962 by legendary comedy actor Peter Sellers, 0157/R subsequently became the ‘star car’ featuring in the 1963 British film 'The Wrong Arm of the Law’, featuring Peter Sellers himself. 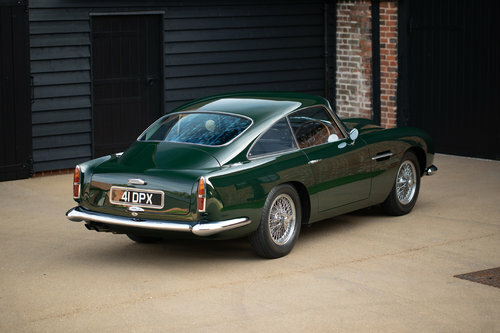 Whilst filming, the car was returned to Aston Martin with a damaged engine and rebuilt with a new block to 4.0 litre capacity, which remains installed. After immortalisation on celluloid, 0157/R was driven in a limited number of UK club events in the hands of its next owner, before relocating with the next owner to New Zealand in 1985. Returning to the UK in the late 1990s, 0157/R was entrusted to well-known UK marque specialists for a complete ‘body off’ restoration by new enthusiast owner Kevin Regan, being completed in 2003. Featured in Octane magazine, November 2003 issue, when pitched against a Ferrari 250 SWB, this superb car has since been part of an extensive UK based Aston Martin collection. 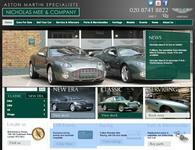 Professionally housed and occasionally driven on weekends, whilst being regularly attended and serviced. With just 75 DB4GT constructed and well chronicled in various AMOC journals including ‘The Aston Martin DB4GT', published by Palawan Press, the DB4GT's place in the pantheon of historic sports racing cars is clearly defined and we are delighted, to bring to market this exceptional example. 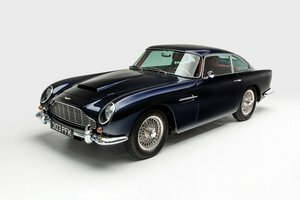 Complete with it's interesting and well chronicled history, supported with a comprehensive history file containing build records, early factory service records, a Heritage certificate, maintenance invoices and a photo record, of the restoration and detailed historic dossier of 0157/R, conducted by Aston Martin historian and author Steven Archer.